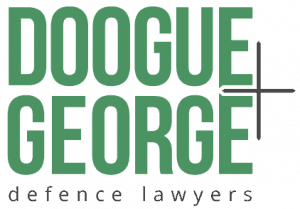 Doogue + George Heidelberg Criminal Lawyers have an office conveniently located at Level 1/94 Burgundy Street, Heidelberg, less than 250 metres from the Heidelberg Magistrates' Courthouse. Heidelberg is one of the six main metropolitan Court complexes and Doogue + George is the closest criminal law office to the Court. Click below to take a virtual tour of our Heidelberg office. Drag your mouse to look around and click to move. Shaun Pascoe runs our Heidelberg Office. He is permanently based at our Heidelberg office although a number of other Doogue + George solicitors appear at Heidelberg regularly. It is our firm that most frequently has a criminal defence lawyer at the Heidelberg Magistrates' Court on any given day and Shaun is known and respected by the Court. Burgundy Street is the main road through the Heidelberg shopping area. At the bottom end of Burgundy Street is Jika Street which is where the Heidelberg Magistrates' Court and the Heidelberg Children's Court are located.